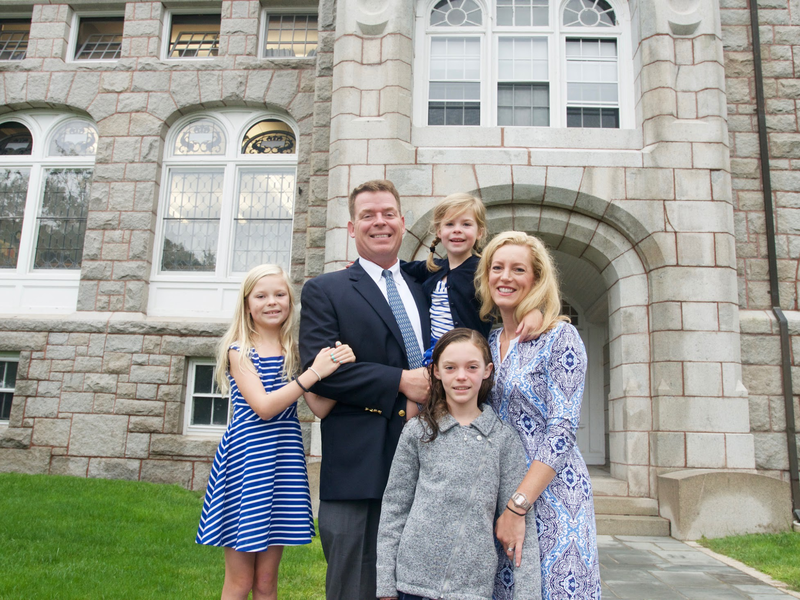 This past July, the Board of Trustees voted unanimously to appoint Mr. Gregory J. Schneider as Belmont Hill’s 9th Head of School. The international search garnered over 200 inquiries and close to 100 formal applications, and Mr. Schneider emerged as its most promising candidate. No longer a mere applicant, he will assume his role as headmaster on July 1, 2018. The Panel’s Editors-In-Chief had a chance to interview Mr. Schneider over the phone last month. Connecting with us from Berwick, Maine, where he is currently serving an eleventh and final year as headmaster of Berwick Academy, Mr. Schneider generously elaborated on his past, his interest in Belmont Hill, and his excitement for the future. After only a few minutes into our half-hour conversation, we could easily share in his enthusiasm. By the time Mr. Schneider left to preside over a Berwick Academy faculty meeting, a clear sense of Belmont Hill’s identity and a commitment to well-roundedness had emerged as key aspects of his multifaceted character. Though Search Committee Co-chairs Jon Biotti ‘87 and Danielle Heard were the first to introduce Mr. Schneider to the Belmont Hill community, The Panel is excited to share with students a closer look at both his background and vision for the future, one that we are confident will remain bright. Much like students at Belmont Hill, Mr. Schneider pursued a variety of activities at Nobles. A self-described “Latin Geek,” taking the two AP Latin courses offered at school, Mr. Schneider explained to The Panel that he “would have been an enthusiastic student in Belmont Hill’s classics department. A force on the fields — captaining the football team his senior year — Mr. Schneider nevertheless strove to defy the traditional stereotypes and boundaries that can come to define students in high school. He took to the stage in Nobles play productions and was a committed fan of jazz, playing the soprano, alto, and tenor saxophone. Reflecting on his high school experience, Mr. Schneider emphasized the lasting friendships with his classmates. Quick to regard his Nobles’ classmates as his closest friends, Mr. Schneider spoke eagerly of returning “home” to the Greater Boston area, where many of his classmates still reside. Marrying his “high school sweetheart,” Mrs. Amy Schneider, Mr. Schneider has always maintained a close connection to his Boston roots. Upon graduating from Nobles, Mr. Schneider matriculated at Amherst College, where he competed for the school’s football team, and was lured further into the worlds of music and writing. 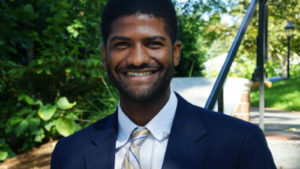 While he considered pursuing a career in writing, ultimately, Mr. Schneider had always been drawn to the field of education: “My experience in high school was pretty transformative – I think I knew leaving high school that I was interested in working in a school setting.” With this goal in mind, Mr. Schneider spent a year after Amherst as an English teacher, coach, and dorm parent at Hawaii Preparatory Academy. Following a return to Amherst to coach the football team, Mr. Schneider attended and graduated from the Harvard Graduate School of Education. For the past 18 years, Mr. Schneider has been an integral member of independent schools in the northeast. 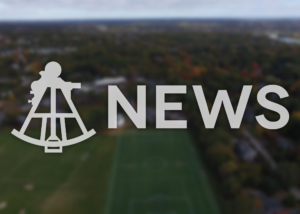 Following a seven-year tenure at Rye Country Day School, where he served as Assistant Head of School, Upper School English teacher, and head varsity football coach, Mr. Schneider moved to Southern Maine to lead Berwick Academy as its headmaster through its 225th year anniversary. When Mr. Schneider learned that Belmont Hill would be searching for a 9th Head of School, the opportunity excited him. “The School’s mission and identity is pretty compelling,” Mr. Schneider explained. “The notion of developing men of character is really important. Belmont Hill has incredible clarity about who it is, and not every school out there has that clear sense of identity.” Mr. Schneider described how he was drawn to Belmont Hill’s academic rigor and excellence, the School’s commitment to well-roundedness, and the “notion of relationships having the power to transform kids in powerful ways.” His respect for our School’s talented faculty manifested itself in an admiration for the teacher-coach model and the School’s insistence on educating boys in multiple forums: the classroom, the athletic field, and artistic realms like the theater, the dark room, and the ceramics studio. Perhaps most importantly, Mr. Schneider detected “a contagious passion for Belmont Hill” in conversations with alumni, faculty, students, and parents throughout the search process: “One can’t help but go through that experience and feel like you are a part of something really special.” Belmont Hill’s combination of a “remarkable sense of history and tradition” and a commitment “to becoming the best version of itself in the future” made the opening an impossible one to resist. Dr. Melvoin’s Ethics class for Form III boys also caught Mr. Schneider’s eye. An important aspect of the School’s mission to help boys become engaged, thoughtful, and ethical citizens, Ethics provides a crucial framework for asking questions about values and character, Mr. Schneider says he looks forward to continuing the Ethics class for Third Formers; in fact, he teaches a similar Ethics course to Berwick Academy 8th graders. Furthermore, Mr. Schneider believes his predecessor at Berwick Academy had created the class after meeting Dr. Melvoin and hearing about Ethics at Belmont Hill (While still unconfirmed, both he and The Panel are eager to check the archives and consult Dr. Melvoin’s memory to corroborate this connection with concrete evidence). Tomorrow morning, October 6, 2017, Mr. Schneider will address the student body in an introductory Forum. 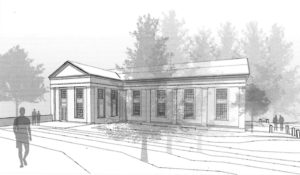 It will be his first time standing before the Hamilton Chapel’s podium (when offered to try it out during his tour, Mr. Schneider laughed and replied, “I don’t think I want to jinx myself”) — an iconic position that has come to define the role of Head of School at Belmont Hill. Though students will only get a limited chance to interact with him tomorrow, the entire community — students, parents, faculty, staff, alumni, and friends — look forward to welcoming Mr. Schneider, Mrs. Schneider, and their three children (Kenna, Avery, and Colby) next fall. This year, the 66th Editorial Board of The Panel has chosen two core themes for the publication — retrospection and celebration. From exploring the history of the Hamilton Chapel, to considering the announcements of the most recent Heads of School, we at The Panel have found great enjoyment in linking Belmont Hill’s past to its present. Throughout the year, The Panel intends to include excerpts from older editions and articles, providing the student body with an accessible means to investigate the Belmont Hill experience from 1923 to 2017. As we embark on our school’s 95th year, we at The Panel hope to lead the school through the beginning of an important transition period. The process of both celebrating and re-evaluating the past will be almost as important as pondering the future. To supplement this piece, The Panel re-published two articles from Volume 40 & 41 announcing Dr. Melvoin’s appointment as 8th Head of School.